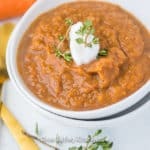 This Instant Pot Carrot Ginger Soup is vegan and paleo, and full of healthy nutrition and flavor. It’s a dairy-free quick side dish that gets made in less than 15 minutes! I hope you’re not getting tired of my Instant Pot pressure cooker recipes! I usually try to include stovetop instructions as well. I’m actually thinking of making my entire Thanksgiving dinner this year in the Instant Pot. Wouldn’t that be something? 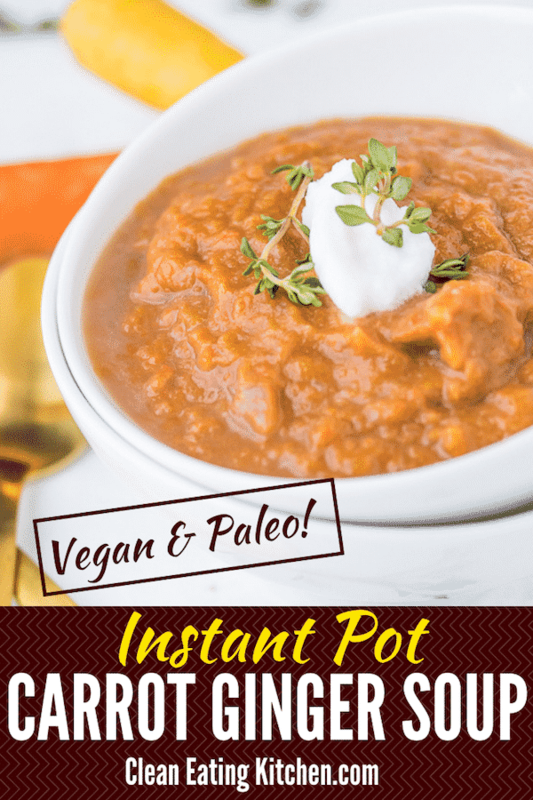 There are a few reasons why I love my Instant Pot (see the model I have here), and the top reason is that it’s fast. The second reason is that it’s like a slow-cooker in the sense that you pop in the ingredients and you can walk away. It took me some time to get comfortable enough with the pressure cooker to know that it wasn’t going to explode, but I’m now in that stage where I’m having fun experimenting more with it and feeling confident that it will turn out great! Oh my oh my, I did have some flops, though. I created a free downloadable Instant Pot Cheat Sheet if you’re interested in learning from my mistakes, ha ha. 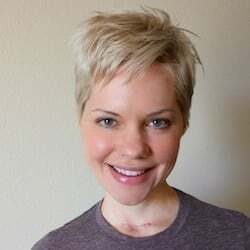 Simply join my free e-mail list here and I’ll send you the Cheat Sheet! Back to this easy-peasy soup that works great as a warming healthy side dish. I made a version of it way back in 2012. I used lentils in that original recipe, but I kept it simple and legume-free with this updated version. Carrots, beautiful carrots, are still the base. I used rainbow carrots, but you can use just orange carrots if you like. The other ingredients are simply fresh ginger, broth, coconut milk, coconut aminos, and fresh lime juice. As I mentioned, this dish can be ready in 15 minutes. The ingredients only need to cook for about 6 minutes, but it takes between 10-12 minutes for the pressure cooker to build up enough pressure to start the cook time. I recommend using a 6-quart Instant Pot pressure cooker that you can purchase on Amazon (affiliate link included). 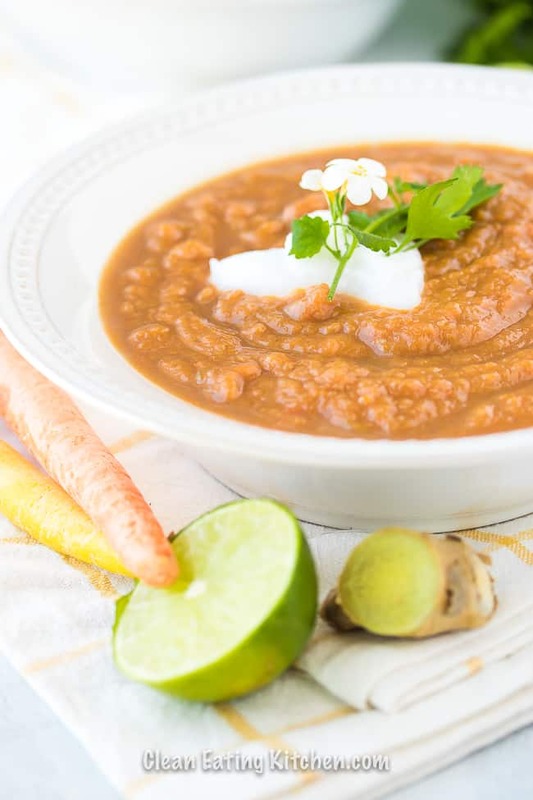 Combine carrots, water or broth, ginger, and minced shallot in the bowl of a 6-quart Instant Pot pressure cooker. Lock on the lid and set the valve to sealed. Push the pressure cooker button and set the time to 6 minutes. When the soup is done cooking, use the quick-release or natural-release method to remove the lid. Use a hand-immersion blender to blend the soup until smooth. Stir in the coconut milk, coconut aminos, and fresh lime juice and serve hot. I told you it was easy! 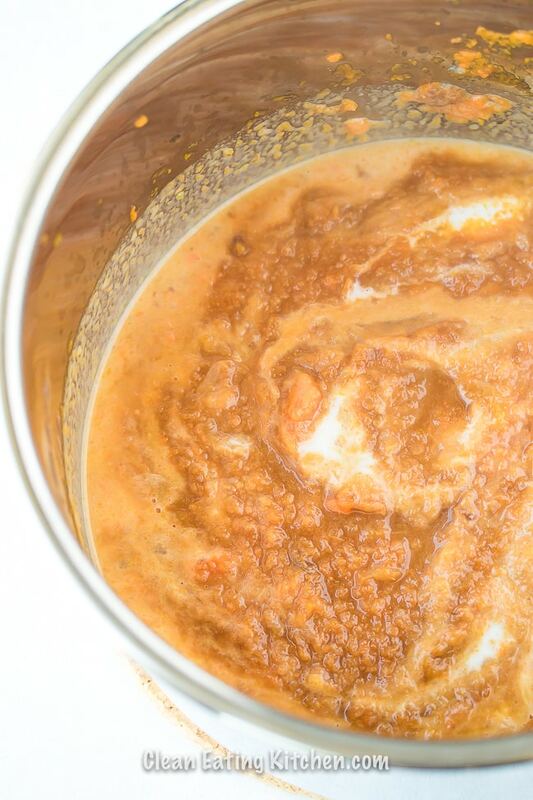 You’ll see that I recommend using a hand-immersion blender to make the soup creamy and smooth. I have had the older model of this hand-immersion blender for over 20 years now and I love it (affiliate link included). 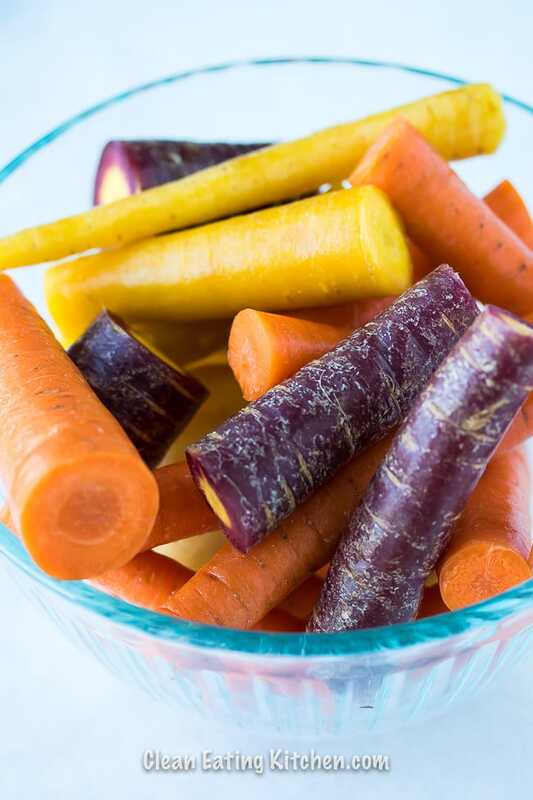 Combine the carrots, water or broth, ginger, and minced shallot in the bowl of a 6-quart Instant Pot pressure cooker. Stovetop directions include combining the carrots, broth, ginger, and shallot in a large saucepan. Bring to a boil and then reduce the heat and simmer for 20 minutes, stirring occasionally. 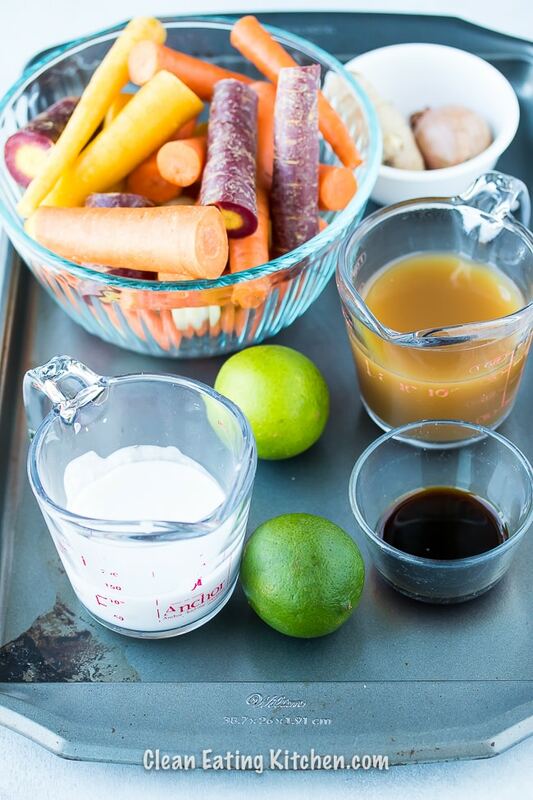 Once the carrots are fork-tender, turn off the heat and use a hand-immersion blender to puree the soup. Stir in the coconut milk, coconut aminos, and lime juice, and serve hot. READ NEXT: HOW TO MAKE INSTANT POT WHOLE RED POTATOES IN 10 MINUTES! One of my fav easy recipes! Did you really mean 1/4tsp of ginger? 1/4 teaspoon of (loosely packed) freshly grated ginger, yes!